1 Series aluminium road bikes feature the same aero shaping and race-ready detail as our top-end bikes. They're strong, light, and built to fly over the pavement. 1 Series is a fast, aero ride for the passionate enthusiast or aluminium aficionado seeking a peloton-tested, confident and smooth ride. Sound like you? Climb on. 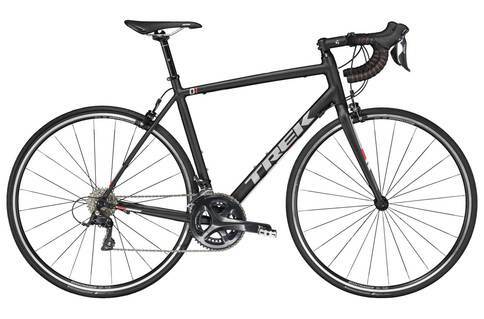 Click the button below to add the Trek 1.2 C H2 2017 Road Bike to your wish list.